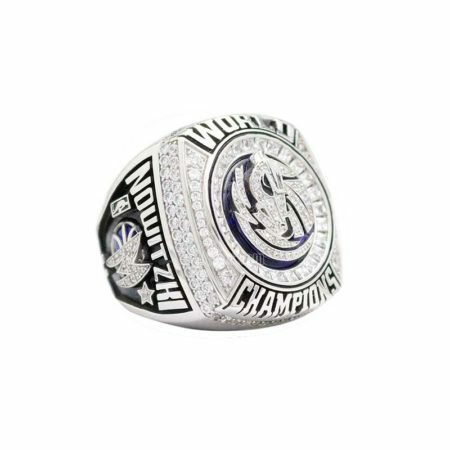 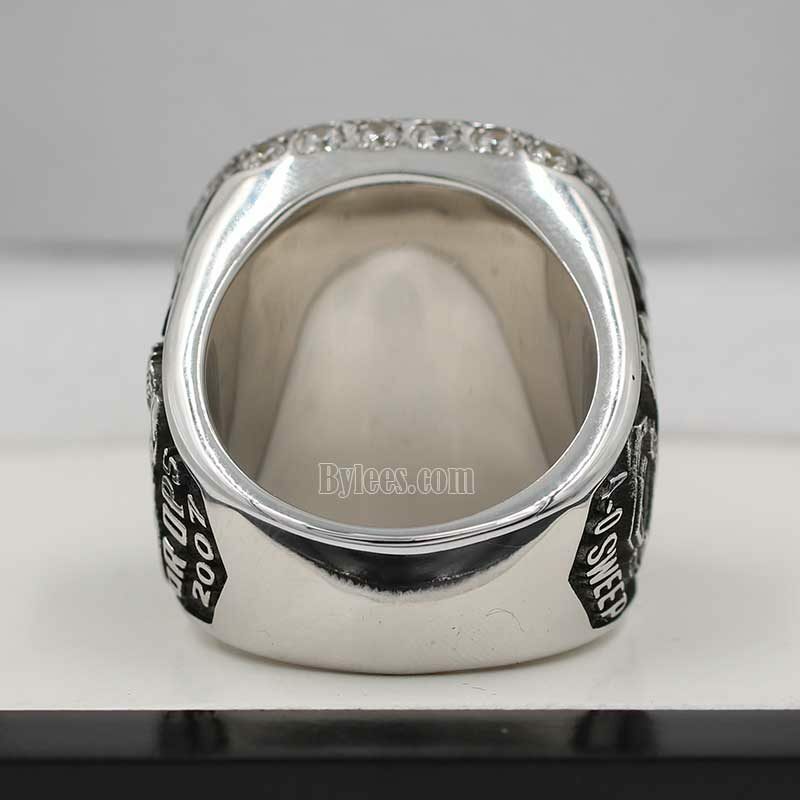 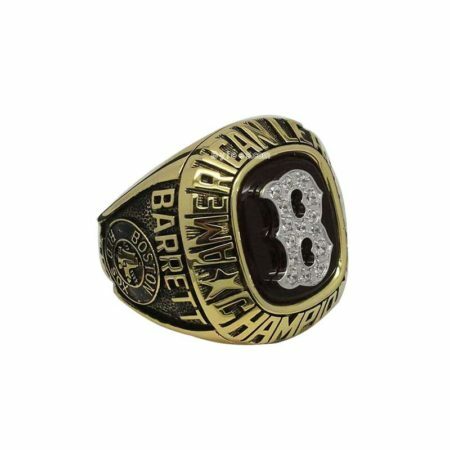 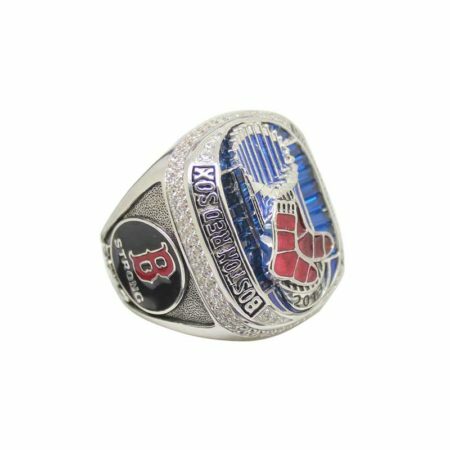 The 2007 Boston Red Sox World Series Championship Ring continued the beautiful design of 2004 Bosox world series ring, to make something different remarkably, the Red Sox 2007 world series ring was pronged with Red Sox team logo instead. 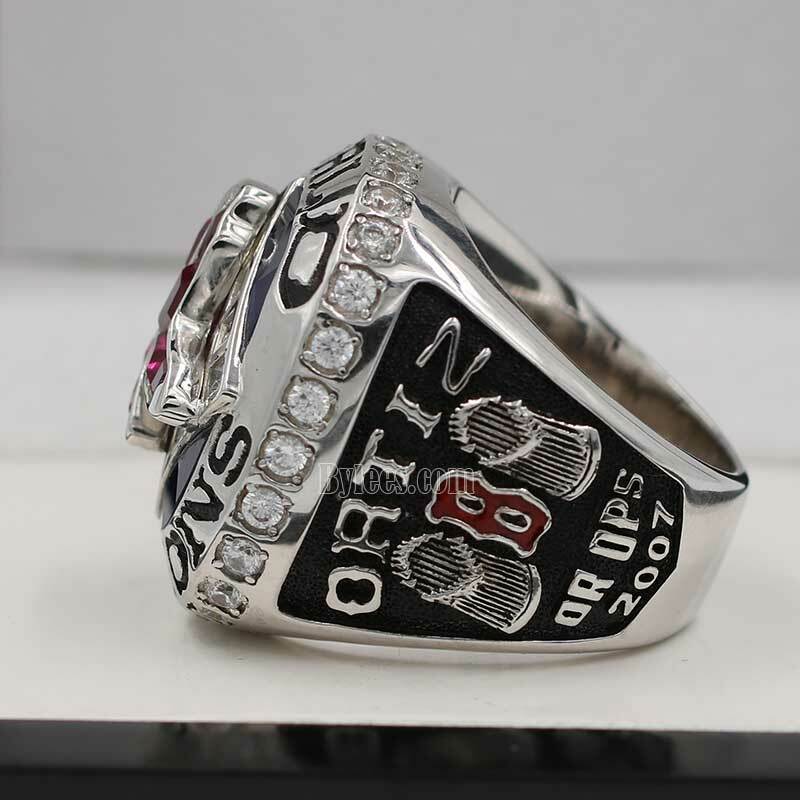 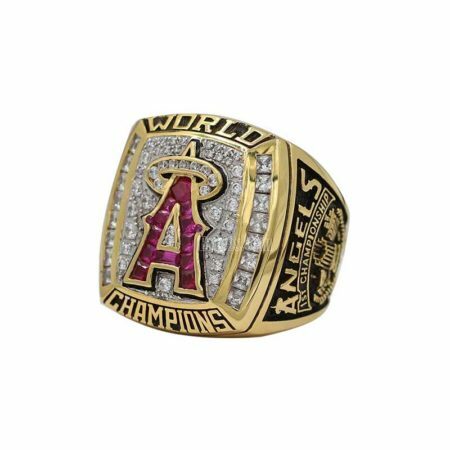 this was a very successful change ,which made the 2007 Boston Red Sox world series ring stunning as well. 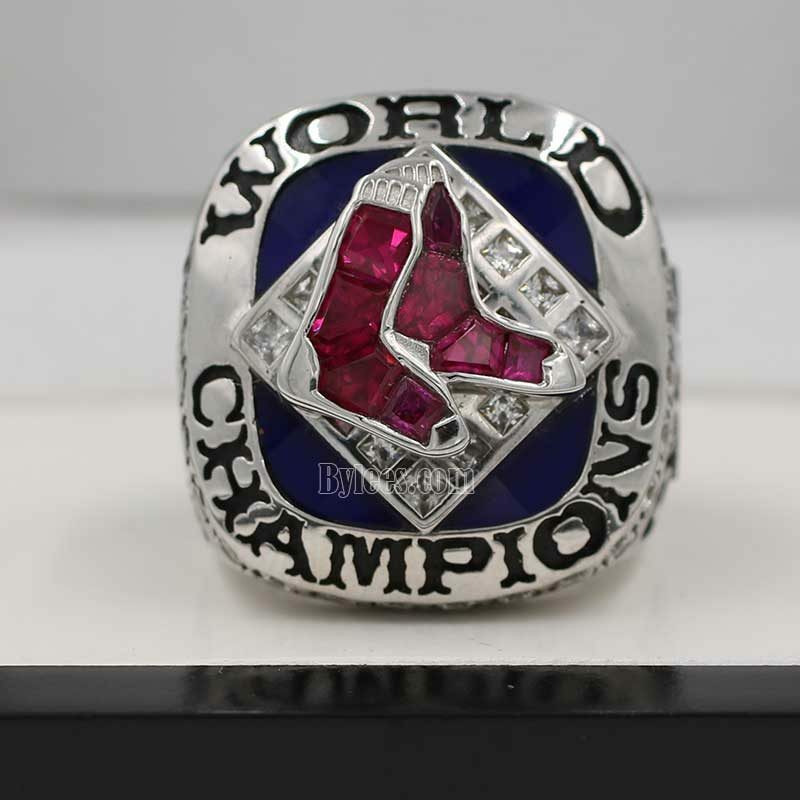 The 2007 Red Sox world series ring commemorated the victory in 2007 world series baseball game. 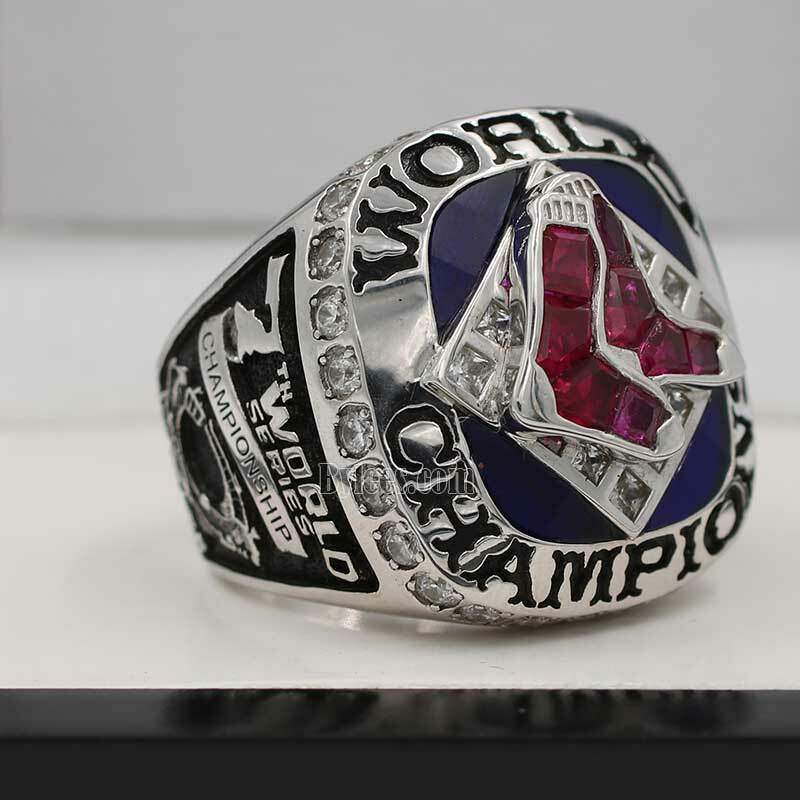 This time, Red Sox swept the Rockies to win the 2007 world series ring. 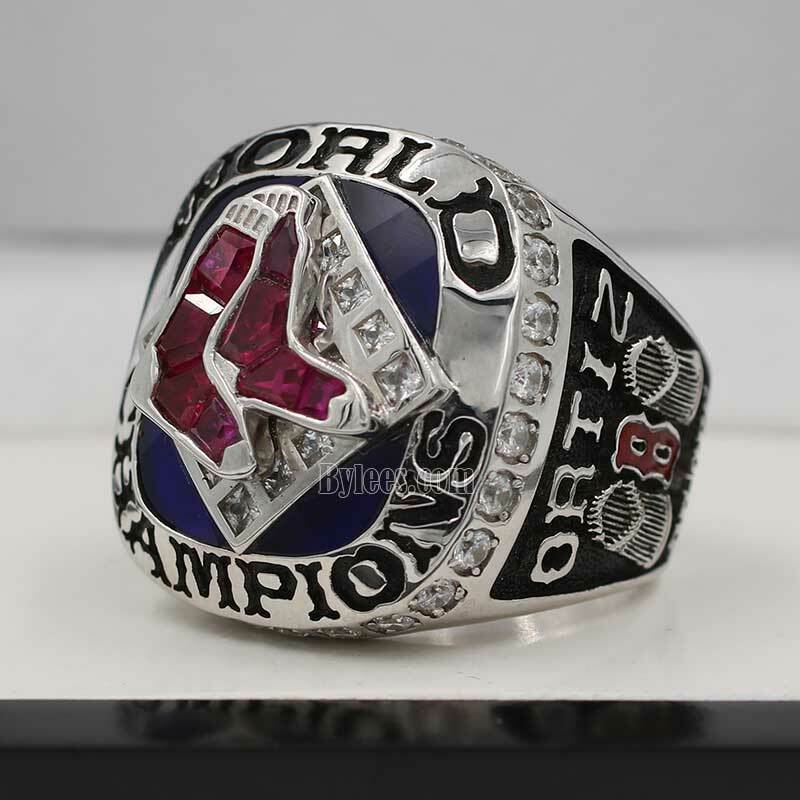 The version here is the MLB MVP Mike Lowell 2007 Red Sox world series ring. so In total, Mike Lowell, Manny Ramirez and Terry Francona(manager) got two boston red sox world series rings. 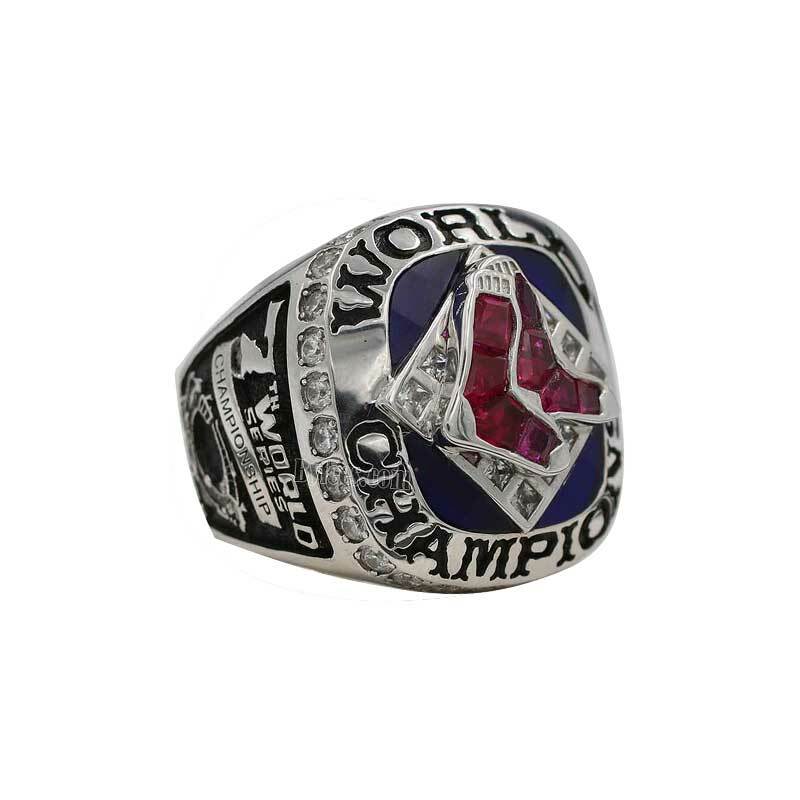 Francona was hired to manage the Red Sox from 2004 to 2011, during his leadership, he enjoyed a huge success and managed to lead the team to 2 MLB baseball world championship rings.